Homme has been plenty busy the past few years with Them Crooked Vultures, his band with Dave Grohl and Led Zeppelin’s John Paul Jones. Plus, this summer Homme, y’know, became a father (again). But earlier this year, he and the current lineup for Queens of the Stone Age embarked on a U.S. tour, following the reissue of the band’s 1998 self-titled debut. Meanwhile, other members of Homme’s former band, Kyuss, have been touring under the name Kyuss Lives!. 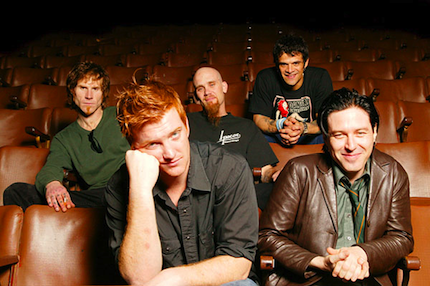 A word of caution: Reports about Queens of the Stone Age’s upcoming album have been surfacing since at least this time a year ago, when guitarist Dean Fertita reportedly said, “We’ve got so many ideas started already.” Until Homme and Co. really do finish their new record, then, the good news is that there has been so much stoner metal to go around even without it.